The Siege of Fort Motte was a military operation during the American Revolutionary War. A force of Patriots led by General Francis “Swamp Fox” Marion and Lt. Colonel “Light Horse” Harry Lee set out to capture the British post at Fort Motte, strategically located at the confluence of the Congaree and Wateree Rivers. The fort was not much more than a mansion owned by Rebecca Brewton Motte, but was garrisoned by roughly 175 British soldiers under Lt. Daniel McPherson. Marion and Lee learned that Lord Rawdon was retreating towards Fort Motte in the aftermath of the Battle of Hobkirk’s Hill. The Americans forces invested the place on May 8 and wished to capture the fort before Rawdon arrived. Two days later, Marion called for the British to surrender and McPherson refused. The next day, Colonel Lee informed Mrs. Motte that he intended to burn the mansion down to force the British out. On May 12, 1781, the American forces had entrenched themselves close enough to the mansion they were able to hit the roof with flaming arrows. Mrs Motte, a Patriot, not only accepted Lee’s plan, but offered up her own set of bow and arrows. Marion’s artillery fire added to the desperation of the British and, by one o’clock that afternoon, Lt. McPherson surrendered the garrison to the Patriots. Great Britain’s “southern strategy” for winning the American Revolutionary War appeared in some ways to be going well after the Battle of Guilford Courthouse in March 1781. General Lord Cornwallis had defeated General Nathanael Greene, but his army was short on supplies and had suffered significant casualties, so he decided to move to Wilmington, North Carolina to resupply and refit his troops. Greene, while he had lost the battlefield, still had his army intact. After shadowing Cornwallis for a time, he turned south, and embarked on an expedition to recover Patriot control of South Carolina and Georgia, where British and Loyalist forces were thinly distributed, and smaller outposts were subject to attack from larger forces under the command of Greene or one of the Patriot militia commanders in the area. He first ordered Colonel Henry “Light Horse Harry” Lee to continue shadowing Cornwallis so that his southward movement was screened. Once he was on his way into South Carolina, he ordered Lee to abandon Cornwallis and instead join forces with militia Colonel Francis Marion in the eastern part of the state. Lee and Marion met on April 14, and first targeted Fort Watson, a small stockaded fort on the east side of the Santee River, which fell after a short siege. They then chased after John Watson, the fort’s usual commander, who had led a force away from it in search of Marion, but was forced onto the defensive when Lee arrived. 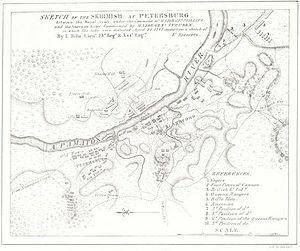 Lee and Marion then targeted Fort Motte, a key British supply and communication point not far from the confluence of the Congaree and Wateree Rivers. The captured garrison was released on parole to return to Charleston. 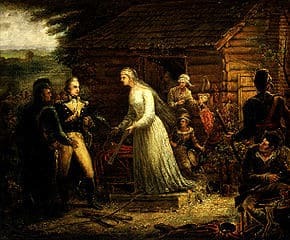 Before they left, Mrs. Motte and the American and British officers shared a meal. General Marion then proceeded to the port of Georgetown, where the British garrison fled without resisting, while Lee was ordered by General Greene to assist in recapturing Augusta, Georgia.